If you are the type of person who is always running to the mechanic for a repair, there may be a scan tool that could help. No matter if your a professional mechanic or a car enthusiast, having a Professional OBD2 Scanner will help you. These tools will help save you time, money and energy as well as easily helping with repair work. The first step to figuring out which professional scan tool to purchase is discovering exactly what you need it for. All professional OBD2 Scanners have different features and functions which make them unique. So, for your ease, here’s a list of the 10 best Professional Automotive Diagnostic Scanners which we consider worth buying. Each Professional Automotive Scanner has features that are different, as well as completely different uses, design and instructions. Luck for you, we are here to help you chose the perfect one. A Professional OBD2 Scanner is loaded with advanced functions that can be beneficial for anybody working in the automotive world. ECU programming is a key feature of Professional scan tools that make these tools the perfect workshop accessory for professional users, or DIYers. In this article, we have reviewed the 10 Best Professional OBD2 Scanners. With the help of our team’s research and testing, we narrowed down the lost of 10 Best Professional Automotive Scanners. It is my hope that after reading the reviews of the top 10 Best Professional Scanners, you will be able to make an informed decision about what tool is right for you. We have organized the reviews based on feature and functions, pros and cons and compatibility. 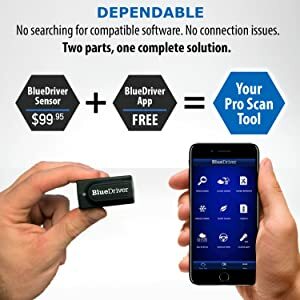 When comparing the prices with other professional-grade scan tools, the Bluedriver Professional Bluetooth OBD2 scan tool might seem inexpensive. However, even with a lower price, this tool is loaded with features that give it a well-deserving pace among the top 10 professional scan tools. BlueDriver with its features are beyond the capabilities of any ordinary car code reader. The Bluedriver OBD2 professional scan tool comes with an application that is compatible with both Android and IOS platforms. With freeze frame technology, the Bluetooth adapter gives clear reads from your car to your phone in seconds. Additionally, this professional scanner can display the data speed and the engine RPMs as well. Enhanced set of diagnostic, i.e., ABS, Climate Control, Airbag Control, etc. You can customize the live data with the help of data sources. It gives information about the vehicle such as vehicle specifications, recalls, etc. Ensure you pass an emissions test with I/M readiness, O2 sensors, and smog tests. Freeze frame data give you a clear insight of where the problem is occurring. 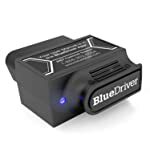 Bluedriver Professional Bluetooth OBD2 Scan Tool for is compatible with any OBD2 compliant vehicle. That being said, Enhanced diagnostics only work with certain makes and models. If you own a GM, Ford, Chrysler, Toyota, BMW, Nissan, Honda or Volkswagen, this scan tool will be your engines perfect pair. Capable of reading and clearing CEL codes. Can also read and clear ABS, Transmission codes, etc. Provides repair reports as well. Comes with a freeze frame feature. Checks if the vehicle is ready for smog test as well. Bluedriver Professional Bluetooth OBD2 Scan Tool can quickly detect the car’s fault codes and erase them as well. It is a handy diagnostic tool for professionals users or expert DIYers. The Launch CRP129 is an OBD2 scanner which has several features. Many important car systems are diagnosed with the help of this professional OBD2 scanner. The Launch CRP 129 is a multifunctional OBD2 scanner for the most important car systems. Beyond just engine trouble codes, you can expect help with the transmission, ABS and SRS codes. Oil Maintenance reset gives you the ability to detect how long your vehicle will last after newly replaced oil as well as shutting off the light. EPB release is an additional feature that helps almost every user. The Launch CRP129 reader is compatible with US vehicles made after 1996, European vehicles made after 2000, and vehicles with newer OBD2/EOBD protocols. With the help of this scanner, the diagnosis of the car systems becomes extremely easy and efficient. Launch CRP129 is a multifunctional professional obd2 scanner for the most important car systems. All the updates are accessible online. Can read DTC and clear it as well. You can get upgrades online. Works only for a few 12V diesel automobiles. This Automotive Diagnostic scanner is ideal for professionals and expert mechanics. It is possible to diagnose loads of cars in a relatively small period of time with the help of this Professional Scanner. 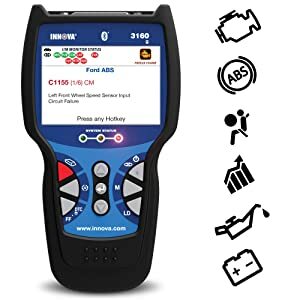 The Innova 3160g OBD2 Bluetooth Professional Automotive Scan Tool is an advanced scan tool that is perfect for the advanced mechanic, or the DIYer. Read and clear check engine lights on any foreign or domestic 1996 and newer OBD2 car, light truck, SUV, and hybrids. This professional OBD2 scanner can read and clear ABS and SRS codes along with other complex tasks. For anyone who is looking to stream and record live engine data, the Innova 3160g is a great choice. Beyond data streaming, the user can expect to use the user-friendly interface to diagnose the check engine light, ABS and SRS lights, plus more. Moreover, it is capable of resetting the battery maintenance light, the oil reset light or initialize a new battery. Filled with features for live data readings, freeze frame data, plus emissions readiness means this device checks all the boxes. This Professional OBD2 Scanner is compatible with all vehicles foreign or domestic from 1996 and newer. Additionally, this device is also compatible with newer OBD2 cars, light trucks, and hybrids, etc. It has an LED lighted connector wire. Free updates are available over the internet. The Innova 3160g OBD2 Bluetooth Automotive Scan Tool is an advanced tool that will be a great assistant in anyone’s workshop. The features make this took extremely suitable for professionals and the user-friendly interface makes it perfect for any DIYer. 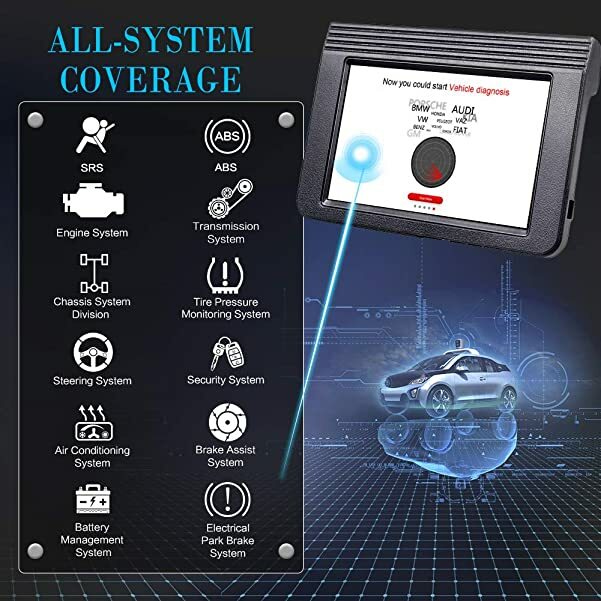 Autel has a very prominent reputation in the world of car diagnostic scanners. 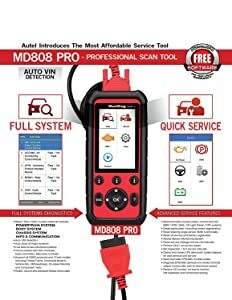 The Autel MaxiDiag MD808 is a good choice for a Professional OBD2 Scan tool because of the smart design and advanced features. This device goes beyond just engine codes and scans all available vehicle systems. Not just the engine, ABS, SRS, and Transmission. The Autel MD808 has a large service menu that can help with oil and maintenance service light resets, SAS reset, battery reset and EPB reset. This professional OBD2 scanner comes with the added feature of live data and freezes frame data that you can graph, report or print for later use. Additionally, it comes with free software updates for life. This ABS code reader is compatible with domestic, Asian and European vehicles, from the year 1996 to present. It includes a global OBD2 coverage for U.S. Domestic, Asian, and European makes and models. With its help, you can read and clear the trouble codes. It has live data functions for four systems. BMS and SRS systems can be controlled and tested. 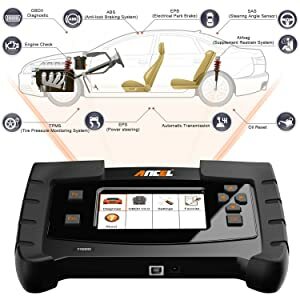 If you need a good pathway which helps you in fixing your vehicles yourself, Autel MaxiDiag ABS scanner is an excellent choice. This is a great tool for professional users or at home mechanics. 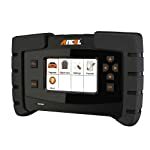 ANCEL FX6000 Automotive Diagnostic Scan Tool is a comprehensive Professional Automotive Scanner. It is an expert OBD2 scanner that can run an overall system check of your vehicle’s engine. This OBD2 scanner can give a overall checking of the vehicles, diagnose on both Diesel and Gasoline vehicles. One of the many helpful qualities from this scanner is the large, high definition screen that puts all the codes into clear view. It doesn’t need a battery or a charger to work its magic. Instead, it works right when you plug it into the OBD2 port. Along with your DTC trouble codes, this scanner gives you tips on how to repair the problem. Additionally, It also has the added features of advanced ECU coding and programming. Moreover, it diagnoses several car systems including ABS, SRS, Oil reset, SAS, IMMO, etc. Another user-friendly feature is multilingual support. This scan tool supports several languages such as English, Polish, Russian, Dutch, Korean, German, and a few more. The FX6000 code reader is capable of supporting all 10 OBD2 test modes. It is compatible with most vehicles made after 1992 in USA, EU, and Asia. Has a high definition, large TFT screen. Has a user interface which is pretty easy to read. Comes with a unique FN hotkey. You get free updates online for 2 years. This professional level scan tool is an automotive Diagnostic Tool for professional users, hence the name. The user-friendly interface also makes it a great learning tool for DIYers. 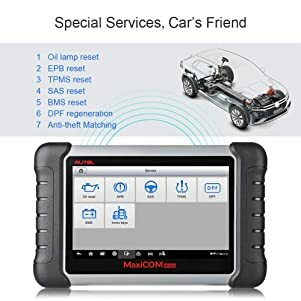 The Autel MaxiCOM MK808 Automotive Diagnostic Scanner is a tool that is loaded with a variety of basic and advanced features. With a large responsive touchscreen, this ipad-like scanner will improve the quality of your car diagnostics. The diagnostic scan tool that offers variety of both basic and advanced functions. The first thing you will notice about this professional automotive scanner is its large 7inch touch screen. Beyond the screen, using a fast quad-core processor, this gadget will speed up your car diagnostic time. You can wireless send information to other devices, as well as store vital car information without an SD card. Some important and useful features on the Autel MaxiCOM MK808 include oil reset, ABS, SRS. Additionally, you can protect your investment with this device because it comes with a one year warranty. 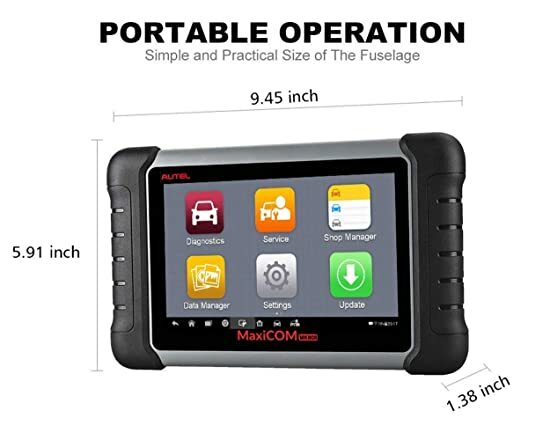 Autel MaxiCom MK808 proved to be the best OBD2 scanner for home mechanics. Autel MaxiCOM MK808 Automotive Diagnostic Scanner is compatible with 1996 US-based, 2000 EU-based, and newer vehicles. With the help of this tool, a full diagnostic test of a vehicle system can be performed by this professional OBD2 scanner. Can display information without being connected to a computer. The response time of this tool is slow. In sum, this Automotive Diagnostic tool is designed for professionals. If you happen to be an at-home mechanic or car enthusiasts, this professional scan tool can help improve the efficiency of your workbench. 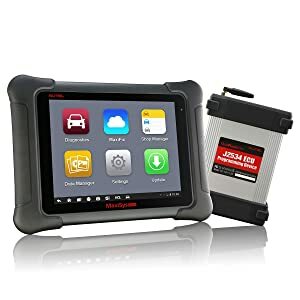 The Launch X431 PROS Automotive Diagnostic Tool is a wireless Bluetooth scanner that is perfect for any tech influenced car mechanic. In the end, this professional handsfree tool comes with loads of features that make it worth the price. Perform active tests, run remote diagnostic tests, review the integral maintenance reference center (including videos), and access regular electrical system repair functions. Some of the features loaded on the Launch X431 include live data, Oil Reset Service, Electronic Parking Brake Reset, DPF Regeneration, and several more. Additionally, you can expect this tool to run active tests. As well as active diagnostic tests and access to regular electrical system repairs. This professional OBD2 scanner also comes with wireless communication and internet connectivity. Plus, it has a pretty easy to use user interface and touchscreen with HD display. The Launch X431 PROS is compatible with more than 108 vehicles made in the US, EU, and Asia. In addition to the scanner, the Launch X431 comes with 14 OBD2 connectors for different vehicles to ensure compatibility with multiple cars. Has Wi-Fi and Bluetooth functionalities. You get two years of free software updates. The Launch X431 PROS scanner is a great tool for professional mechanics. Moreover, the rich feature device is the perfect partner for any automotive guru. The Autel MaxiDAS DS808K is an upgraded version of the DS708 and DS808 Automotive Diagnostic Scan Tools. That means this device contains complete capabilities to do all the task you need. Based on the Android operating system, and featuring a fast quad-core processor, provides extensive coverage of oe-level diagnostics. This device is built with an extremely fast quad-core processor which makes code reading and diagnostics happen fast. 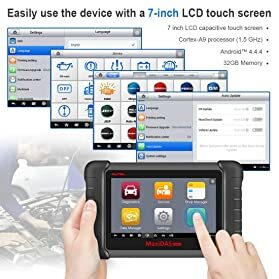 Because it works with an Android operating system, this professional diagnostic tool with function similar to your handheld device. It is loaded with all the capabilities you need such as live data reading, active testings, ECU data, adaption and matching. Additionally, the MaxiDAS DS808K is loaded with special features to help reset windows, bleed ABS pumps and more. To top it off, it comes with Bluetooth connectivity and has a wireless OBD2 adapter. The DS808K is compatible with 80 types of US, EU, and Asian automobiles. Moreover, for systems that are electronic, it has complete vehicle coverage. It is durable and doesn’t break easily. This Professional Automotive Diagnostic scanner is very efficient in providing comprehensive vehicle diagnostics tests. Because the DS808K is so featured rich and loaded with special functions, this device is recommended for professional mechanics. 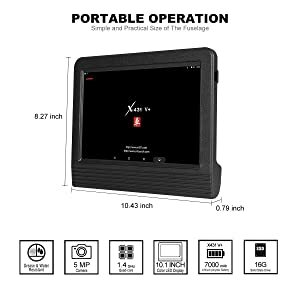 The Launch X431 V+ Automotive Diagnostic Tool is one of the best professional OBD2 scanners with a top-notch reputation. 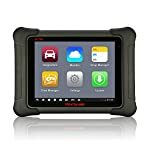 This particular product has an extremely advanced user interface that is packed with features to help any professional mechanic. 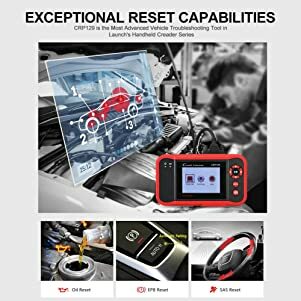 Easy to use interface that has powerful functions, quick auto scanning and vehicle diagnosis, and a touchscreen user interface that is easy to learn. The Launch X431V+ Automotive Diagnostic Tool is capable of diagnosing all vehicle systems. Namely, that includes transmission, engine, ABS, SRS, communication and more. That means for the money you invest in this tool, you can count on full accurate system diagnostics. Along with Bluetooth, hands-free technology and a large 10-inch screen, the Launch X431V+ is equipped with a multitude of reset services. Beyond just a professional grade scan tool, this tool also functions as a bi-directional scan tool that can both send and receive information from your engine. That means all the tools of the most advanced mechanic are in your hands with the Launch X431V+. This Professional OBD2 Scanner has a wide vehicle coverage and is compatible with 90% of all car models from the US,Europe and Asia. Additionally, it is a professional scanner that is equipped with a variety of adapters to ensure eligibility with multiple engine types. X431 V+ features 11 reset fucntions. It has a durable and sturdy design. It comes with a 7000mAh battery. The Launch X431V+ is a professional level scanner made for professional users. This is a scanner is loaded with features, has bi-directional functionality and includes wide coverage of engines. Therefore, this scan tool is recommended for a mechanics workshop. 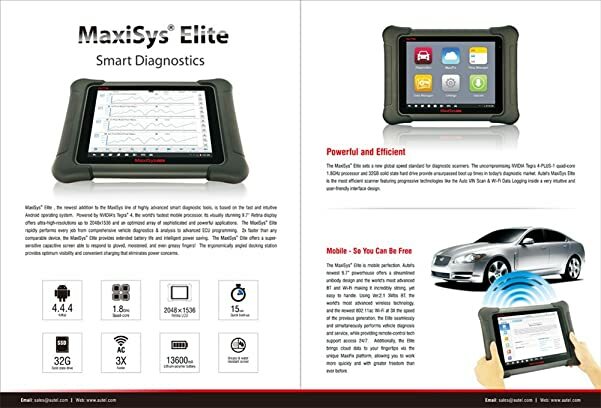 Autel Maxisys Automotive Diagnostic Scanner is a comprehensive professional OBD2 scanner. This device comes with OE-level functionality and is loaded with features that include advanced ECU programming. 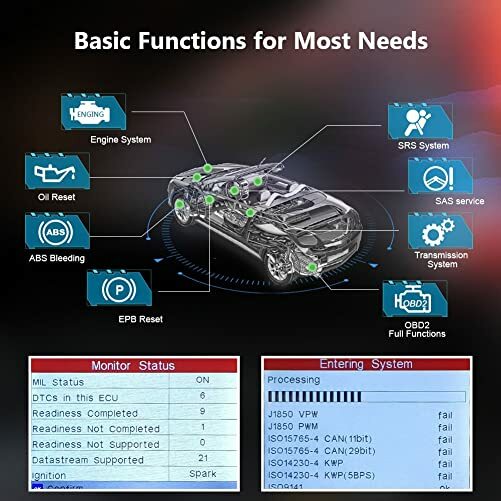 Exceptional OE-Level functionality diagnostic tool from comprehensive OBD2 scanner diagnostics & services to advanced ECU coding and programming. Coding functions allow you to not all read and erase codes, but also program on specific control modules. Additionally, this device comes with manufacturer specific help. This can make diagnostics for Ford, VW and Audi almost seem like vehicle customizing. With anti-theft matching, you no longer have to worry about the high costs of lost keys. With this device, you can program new keys without the pain. Some additional features include tire reset, ECU programming, Injector programming, DPR reset and throttle matching. The Autel Maxisys Elite can also update itself over the internet automatically. Plus, it stores diagnostic data, customer information, and vehicle information as well. The smart design comes with a rubber casing to protect it from damage. This Automotive Diagnostic scanner has the most extensive vehicle coverage. Thus, it is compatible with more than 80 US, EU, and Asian cars and vehicles. Autel Maxisys Elite supports both bluetooth and wifi diagnostics. It has an NVIDIA Tegra”4 1.8 GHz Quad-Core Processor which makes it very fast. This automotive diagnostic scanner comes with the MaxiFix platform which allows you to network with other professional mechanics. Additionally, you will have access to a large database of repair, diagnostic tips, and procedures. Therefore, this device is recommended for professional technicians with an expansive knowledge of vehicle repairs. To narrow down the choices on professional grade scan tools, it is important to factor in certain criteria. The ANCEL FX6000 Automotive Diagnostic Scan Tool can do a full vehicle scan and supports all 10 OBD test modes. Additionally, it is equipped with a user-friendly interface and advanced functions suitable for all users. Bluedriver is a company that has revolutionized the world of car diagnostics. 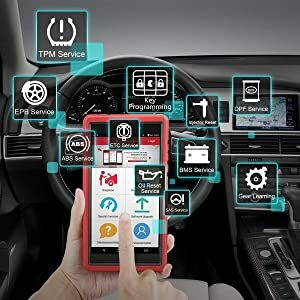 Instead of using a heavy automotive scan tool, this device is a wireless, Bluetooth plugin that works with an application from your handheld device. Therefore, Bluedriver makes car diagnostics as easy as 1,2,3 for a minimal price. Although this tool comes with a slightly steeper price tag, the advanced features will keep money in your pocket. This tool is built for professional users and equipped with bi-directional functionality. Therefore, you can both read and program new codes on vehicle engines. Autel MaxiCOM MK808 professional OBD2 Scanner has built-in batteries. Not only does it recognize an automobile but communicates automatically with it. With a quad-core processor and 7” screen, it is one of a kind. You don’t need a USB or a card reader in order to store data. This tool comes with built-in batteries for professional use mainly. With a one-year warranty, you can get a lot of use out of it. It will not be too handy for DIY home mechanics. Deciding which scan tool is perfect for your workbench can be a tedious task. It is my hope that after this extensive review of the Top 10 professional obdii scan tools, you will be able to make an informed decision about the perfect pair for you.